Used as a plug for non-threaded and threaded through holes. 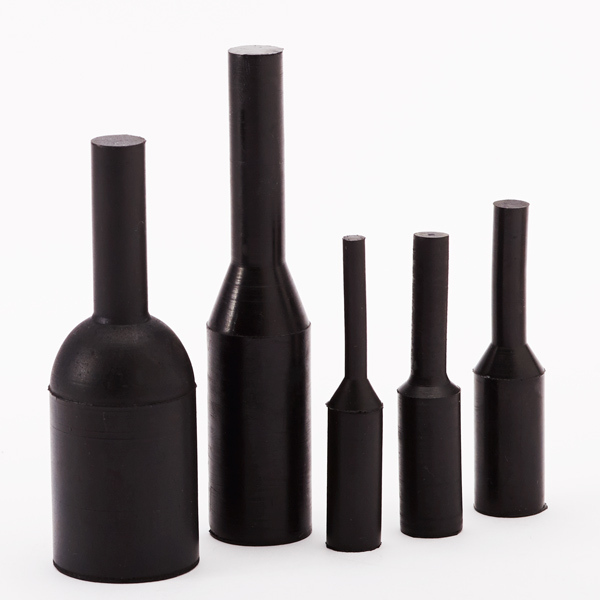 Our EPDM Pull Plug (EPP) product line is an extremely economical solution for threaded and non-threaded through hole applications. With many sizes available, holes from 0.050” to 2.250” in diameter can easily be plugged. Our high temperature EPDM is specially formulated to ensure chemical resistance while maintaining reusability and economy during masking. Not recommended for holes with a leadin chamfer or a countersink that requires protection from paint. For these applications, EPSI recommends the Weld Nut Pull Plug (WPP) or the Washer Plug (WP) lines. 0.093 (2.4mm) Major Dia. X 0." 0.109 (2.8mm) Major Dia. X 0." 0.118 (3.0mm) Major Dia. X 0." 0.130 (3.3mm) Major Dia. X 0." 0.140 (3.6mm) Major Dia. X 0." 0.154 (3.9mm) Major Dia. X 0." 0.156 (4.0mm) Major Dia. X 0." 0.162 (4.1mm) Major Dia. X 0." 0.187 (4.7mm) Major Dia. X 0." 0.195 (5.0mm) Major Dia. X 0." 0.197 (5.0mm) Major Dia. X 0." 0.225 (5.7mm) Major Dia. X 0." 0.281 (7.1mm) Major Dia. X 0." 0.312 (7.9mm) Major Dia. X 0." 0.332 Plug Diameter X 0.750" "
0.335 (8.5mm) Major Dia. X 0." 0.350 (8.9mm) Major Dia. X 0." 0.388 (9.9mm) Major Dia. X 0." 0.400 (10.2mm) Major Dia. X 0"
0.445 (11.3mm) Major Dia. X 0"
0.468 (11.9mm) Major Dia. X 0"
0.500 (12.7mm) Major Dia. X 0"
0.770 (19.6mm) Major Dia. X 0"
1.020 (25.9mm) Major Dia. X 0"